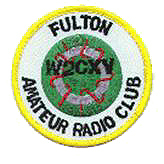 The Fulton Amateur Radio Club is sponsoring the Thomas Cantine Jr. W2TQF Memorial Scholarship. This is a great opportunity for any amateur radio licensed student in CNY. Those living in Oswego, Onondaga, Cayuga or Jefferson counties are eligible to participate.